Hey, guys! Long time, no post again. Sorry about that. One of these days I'll try to get back onto a regular schedule for updating this blog. So much has happened in the last few months that I hardly know where to begin! First up, I want to thank each and every one of you for helping to make the release of Redux a success! I was absolutely blown away by the support and interest you all showed for the third book in the Variant Series! Thank you!!! Y'all totally rock. Next up, two big announcements! First - I'm excited to announce that I'll be taking part in the 2016 Roanoke Author Invasion in Roanoke, Virginia!! The event is set to take place on April 2, 2016 at the Holiday Inn - Tanglewood. You can find out more about the event—and also take a peek at a list of the 60+ amazing authors that will be in attendance—by clicking the image below! I'll be talking more about the signing as the event gets a little closer. So excited (and honored!) to have been invited to take part next year! 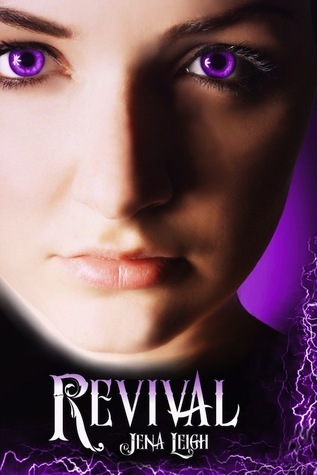 Second - Revival, the first novel in the Variant Series, is now perma-free and will be available for FREE download from Amazon, Barnes & Noble, Kobo, iTunes, and Smashwords for the foreseeable future. Check it out if you haven't already—and if you have, then be sure to tell a friend who might enjoy it! That's really all for the announcements right now, other than to say that, "Yes! 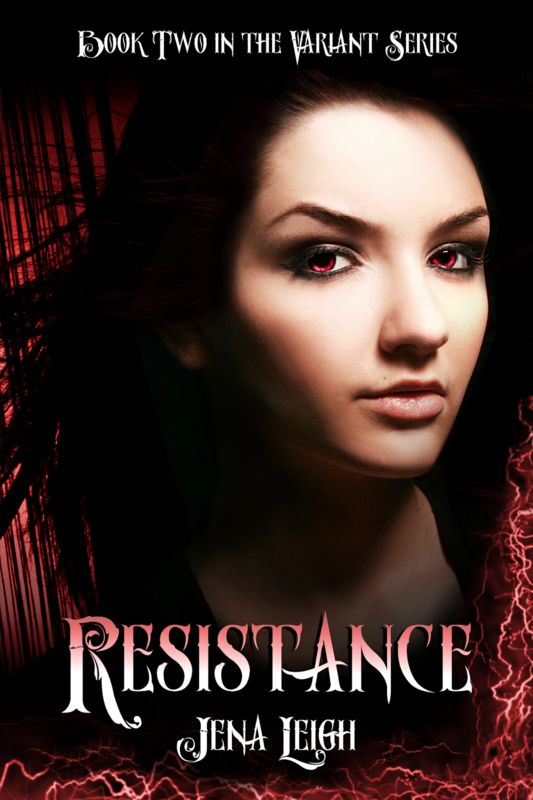 I am most definitely working on a fourth book in the Variant Series!!!" It's been the most popular question in my inbox since the release of Redux, so I wanted to go ahead and address it here on the blog. There's also a new, official, Jena Leigh website up and running, in addition to my home here on Blogger! To visit, all you need to do is click the "Home" tab on the far left side of the menu bar at the top of the Jena Leigh Blogger page, or click here. On a slightly personal note, my health isn't the best right now, and it's getting a little difficult to keep up with my e-mail and social media correspondence. If you write me, but don't hear back right away, I apologize! I absolutely love hearing from you guys (it's one of my favorite things about being an author) and I promise that you'll hear back from me just as soon as I'm able to reply. It's here! It's here! Today's the day—Redux, the third novel in the Variant Series is now available in ebook form from Amazon, iTunes, Nook, and Smashwords for just $2.99! For those of you looking for the paperback, it will be available on Amazon sometime next week. Alex Parker sits at the crossroads, out of time and out of place. She went back to fix the past, not to imperil the future. Rescued from the icy waters of the Bering Sea by one familiar face, she's helpless to find another. Declan O'Connell jumped with her, but where did he go? In the middle of her search, a new threat confronts Alex. A serial killer with a taste for Variants has Seattle on edge. When she crosses the path of this vicious murderer, the revelations Alex discovers could change everything. That outcome is an unknown, but there is a terrible certainty on the table — an impossible decision with irreversible consequences. But can Alex make that choice and commit herself and those she loves to a total Redux? There will be plenty of giveaways over the next few weeks, so be sure to keep an eye on the Jena Leigh website, or follow me on Twitter (@jenaleighbooks) for more details! Speaking of giveaways—right now, you can enter to win a paperback copy of the new book on Goodreads. While you're there, be sure to add Redux to your shelf! Thank you all so very much for your support and I hope you enjoy this new installment in the Variant Series! Happy reading!! P.S. 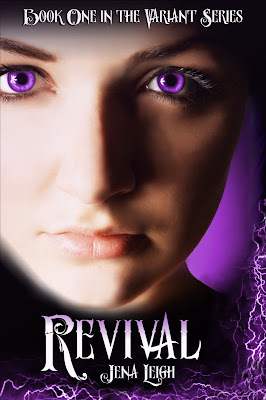 If you're a blogger who is interested in reviewing Redux (or any of the other novels in the Variant Series) for your blog and would like a digital review copy, please send me an e-mail with your information! 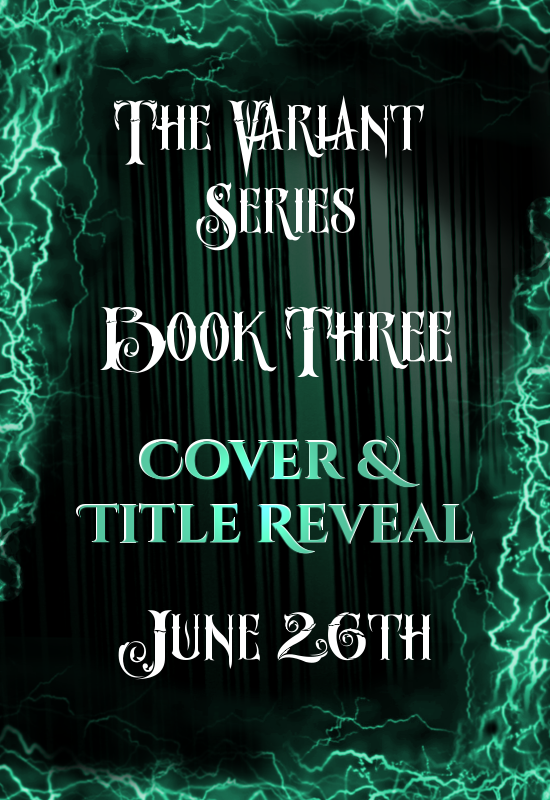 On July 22nd, less than one month from today, Redux (The Variant Series, #3) will be released!! To celebrate the start of our countdown, today on the blog we're kicking things off with the official reveal of the cover and an amazing giveaway! So here it is, guys, the brand new cover for Redux! So what do you think? Getting excited for book three yet? Don't forget to mark your calenders, Redux will be available in both paperback and e-book, beginning on July 22nd! And to celebrate today's cover reveal, we're hosting a Rafflecopter giveaway of FIVE copies of the Redux e-book AND a $10 Amazon gift card!! To enter, check out the widget below. ETA: And that's a wrap! Thanks for participating, everyone! Sierra G. was the lucky winner of the $10 Amazon Gift Card! 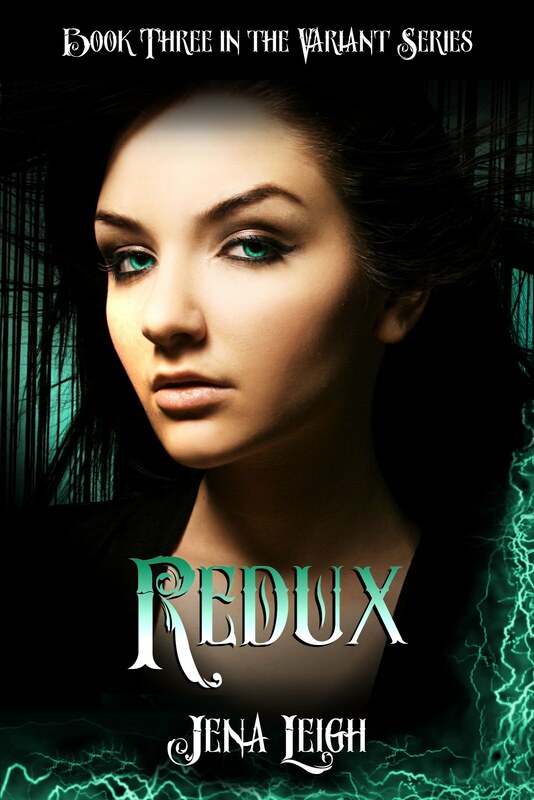 Everyone else will be receiving an ebook copy of Redux! If you were one of the winners, you'll be hearing from me via e-mail before the day is out! (Today, Wednesday, the 22nd.) Thanks! Want to add Redux on Goodreads? Just click the button! I am very pleased to announced that Book Three in the Variant Series is about to start working its way through the editing process—and that we finally have a release date! 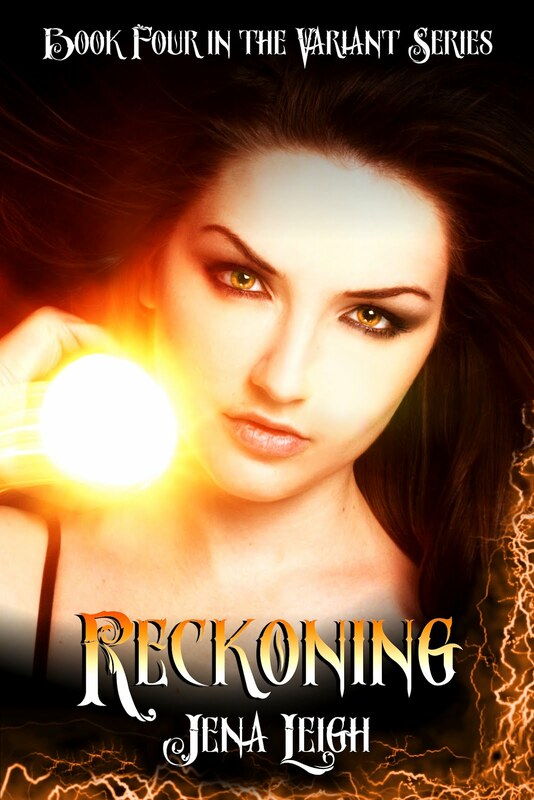 Book Three will be available in both eBook and paperback starting July 22nd! 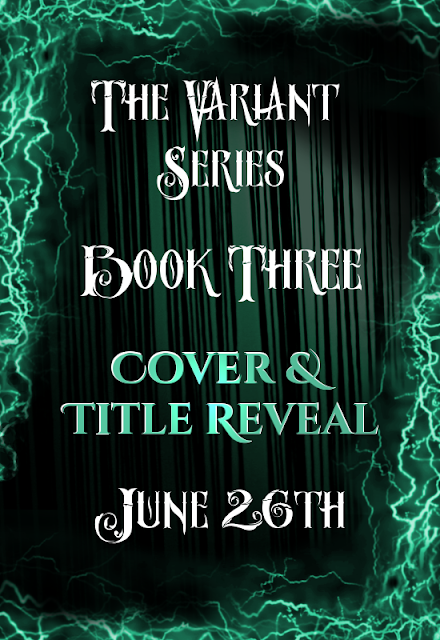 So mark your calendars... And be sure to keep an eye out on June 26th for the official Cover and Title Reveal!! With any luck, the book will be made available for pre-order shortly thereafter, so stay tuned for that announcement as well. More details to come—but for now, I want to say a big, BIG thank-you to all of you for your endless encouragement and support! Your patience, understanding, and kindness means the world to me, and I can't wait for you guys to read what comes next for Alex and the gang! Lately I've received a massive number of emails, comments, and questions on social media that all included the same question: "When is book three coming out??" And I really, really wish I had an exact answer for you. Here's the situation—I'm working on the novel every day, but progress is slow going. I'd love to throw out another estimated publication date, but after having the last two predictions come and go without being met, I'd rather not tempt fate again. I will say this, though... I am determined to finish this book and to make it the absolute best that it can be. It's been a total nightmare to write (let's just say that I took on a challenge that I wasn't quite prepared for, and that it's slowed my progress immensely), but I love these characters and I'm committed to telling their story. I will finish what I started, but complications and distractions in my personal and professional life have made it difficult to finish the project as quickly as I'd hoped. Thankfully, I have an absolutely amazing editor who is helping me whip this novel into shape, and—with any luck—my next update to the blog will include an official announcement about the release. In the meantime I want to thank you guys again for your understanding and support!